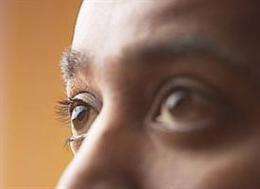 (PhysOrg.com) -- Acute optic neuritis, an inflammation of the optic nerve, doesn't occur all that often. But for those who experience it, the vision loss, pain and nerve damage that often result are no small matter. A clinical trial is investigating whether or not a drug currently used to treat multiple sclerosis may protect the nerve from damage due to optic neuritis. Initially, people experiencing optic neuritis notice a spot or cloud in front of their eye or a blurring of images. They may also have pain when they move their eyes. Over the next several days to a week, their eyesight will deteriorate further. Vision plateaus and the swelling in the optic nerve subsides after about a week or two. In most cases as the brain makes new myelin, vision gradually improves. But for many people it never returns to the level it was at before experiencing optic neuritis. Friedman’s study seeks participants between the ages of 18 and 45 who are experiencing optic neuritis for the first time. Since the study requires that subjects be screened, evaluated and enrolled within nine days of the onset of symptoms, it is imperative that those interested in participating contact study organizers as soon as symptoms present themselves. As part of the prescreening they will undergo an MRI to determine whether or not they have signs of MS in the brain; optic neuritis can be an early symptom of the central nervous system disease. Optic neuritis can also come and go with no connection to MS. Only patients without evidence of MS will be enrolled in the study. For six months, study subjects will receive either a placebo (no active ingredient) or Copaxone injections (glatiramer acetate), a drug used to treat MS. Copaxone is manufactured by Teva Neuroscience, Inc., the company sponsoring this study. Typically, optic neuritis is treated with intravenous steroids, which don't improve vision but do speed recovery. Study participants will still receive steroid treatment as part of the conventional therapy.